Belletech Construction Services Ltd - Bathrooms, Bedrooms, Builder, Carpets/Flooring, Kitchens, Shop Fitting based in Banstead, Surrey. 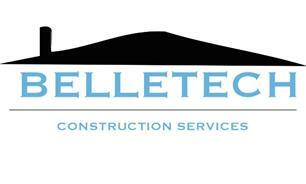 Belletech Construction Services Ltd are a specialist shop fitting company that also cover the domestic side of the profession operating in the Surrey and South London area. We cover all aspects of office and shop fitting from complete fit outs to minor refurbishments including full suspended ceiling grids, partitioning, carpet and floor fitting, decorating, electrical and plumbing works. As well as the shop fitting we also cover the domestic side including works such as kitchen and bathroom fit outs, decorating, carpet and flooring, plumbing and full re-wires, right down to complete refurbishments, conversions and extensions. We now also offer a full damp proofing service, covering condensation, penetrating damp and rising damp. The services we provide include damp proof chemical injection, renovating plastering, damp proof membranes and many more. We enjoy all the work we carry out no matter how big or small and pride ourselves on customer satisfaction and only employ fully qualified and professional tradesmen. We look forward to speaking to you to discuss your requirements and provide you with professional advice and an impeccable service.